There’s no shortage of good eats during the Niagara Icewine Festival. In a region that’s like the mothership of Canadian Icewine, organizers invite attendees to celebrate winter in wine country — and how. No one loves a culinary celebration like Canadians, where passion for cuisine and its vine-born counterparts result in jovial events like these festivities. They take place over three weekends from January 11–27, kicking off on Friday, January 11 with the Niagara Icewine Festival Northern Lights Gala at Fallsview Casino Resort. From there, outdoor street celebrations and events at local wineries attract tens of thousands of oenophiles who return every year. 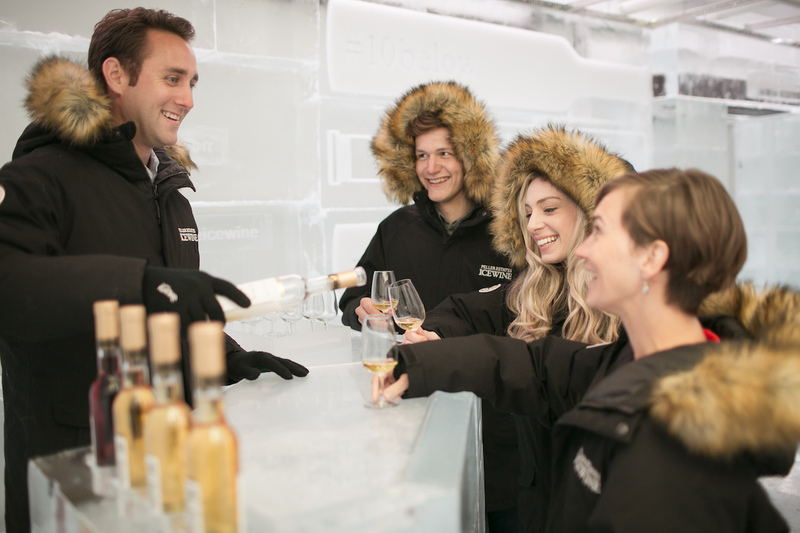 Activities (read: nonstop Icewine imbibing) take place at Niagara-on-the-Lake Icewine Festival and Twenty Valley’s Winter WineFest in Jordan Village along picturesque streetscapes and throughout these communities at several participating wineries. The best way to not miss anything is with a Niagara Icewine Festival Discovery Pass, entitling pass holders to choose eight wine and culinary pairings from dozens of VQA wineries along Wine Country Ontario’s Wine Route. This quintessential dessert wine may reign supreme in last courses, but despite its super-sweet nature, creative Canadian chefs make Icewine a fixture in savory dishes from foie gras to ham, especially in the weeks surrounding the festival. Whether you reserve a table during the festival or save a visit for another time, here are a few places to check off during the Icewine fêtes. Not hitting up the Niagara Icewine Festival 2019? We can help you find the right restaurant in your city on OpenTable.com. 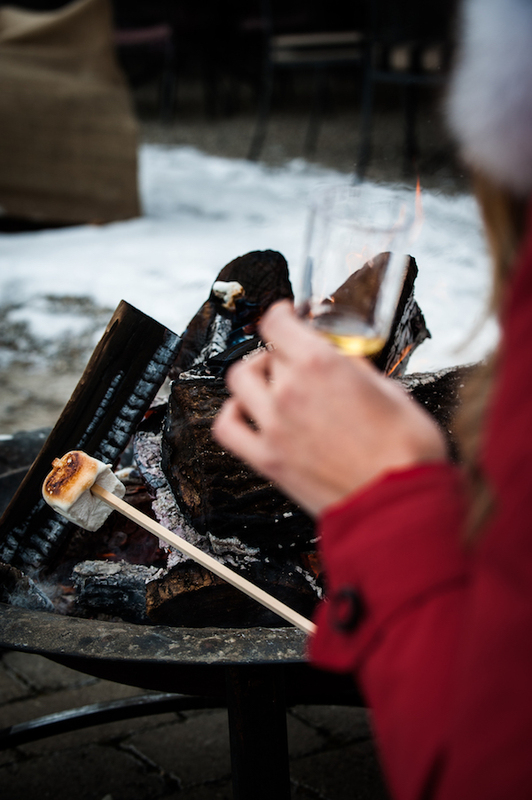 Chef Jason Parson’s signature Icewine marshmallows have become legendary throughout the year at Peller Estates Winery & Restaurant, but especially during the Icewine festival when paired with sips of Andrew Peller Signature Series Cabernet Franc Icewine 2016 or Ice Cuvée Rosé. Parsons prepares them from Italian meringue folding in the Icewine to create pillows of charred goodies on wooden sticks. He and his team make 5,000 Icewine marshmallows for the occasion, plus his Icewine chocolate tart, a chocolate ganache laced with Cabernet Franc in what Parsons refers to as a chocolate pâté. And at the Icewine festival street market, Peller’s savory treat is an Icewine lobster poutine. For the Peller Icewine dinner on January 19, guests can partake of a four-course dinner in the barrel cellar inspired around Icewine, with smoked sablefish with kimchi, Icewine roasted beets, and bison Osso Buco. Diners in the know make Peller a frequent stop also for the 10Below Icewine Lounge at Peller (pictured above), a minus-10 degrees Celsius tasting area in homage to the winemakers who must endure cold temps to harvest the grapes. 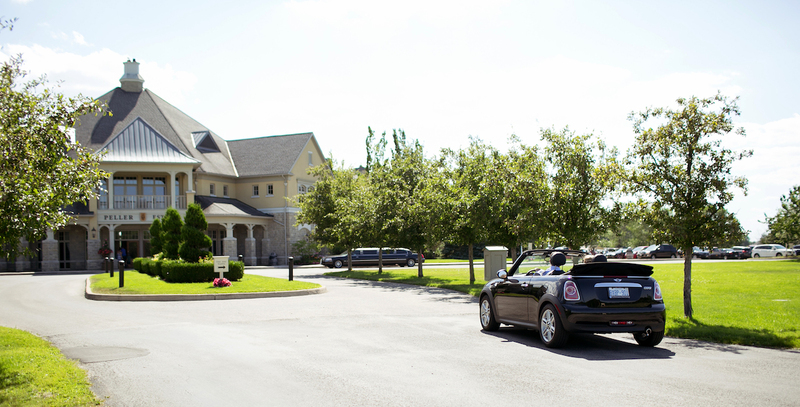 Make a reservation at Peller Estates Winery Restaurant. As a huge supporter of the Icewine celebrations, Ray Taylor as chef of Fallsviews Casino Resort has almost an entire city at his fingertips. It’s a good thing since he and his staff love to support local viticulture. More than 700 people attend the Fallsviews Casino Resort Icewine galas. Participating chefs use it as their culinary showcase for the year, complete with thousands of sample bites complimented by Icewines provided by regional wineries. The resort has several dining options, but carnivores flock to Taylor’s 21 Club Steakhouse for Brooke’s Alberta Chateau Briand for two, Nebraska longbone steak, and rack of lamb from Innisfail, Alberta. But this fine-dining destination isn’t just about meat and potatoes. Diners can opt for two caviar tastings including Russian Black Pearl, sustainable wild-caught Baltimore blue crab cakes, and salt-roasted beets among other delights. 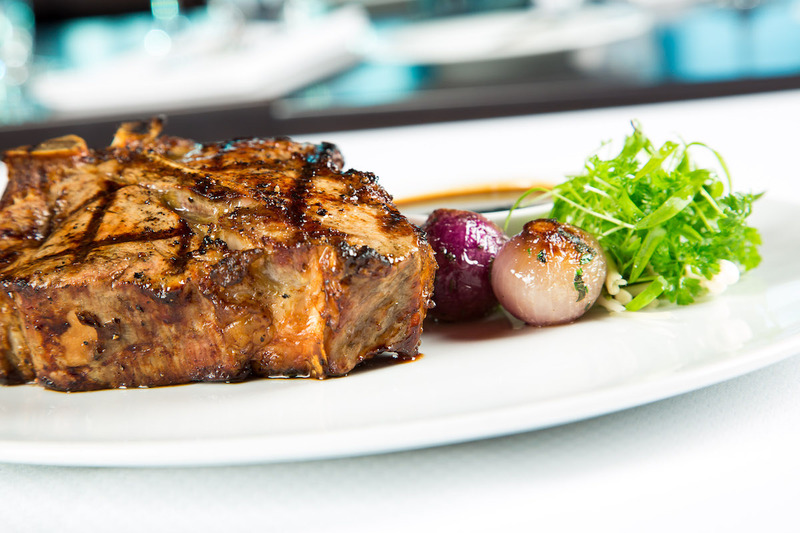 Make a reservation at 21 Club Steakhouse at Fallsview Casino Resort. 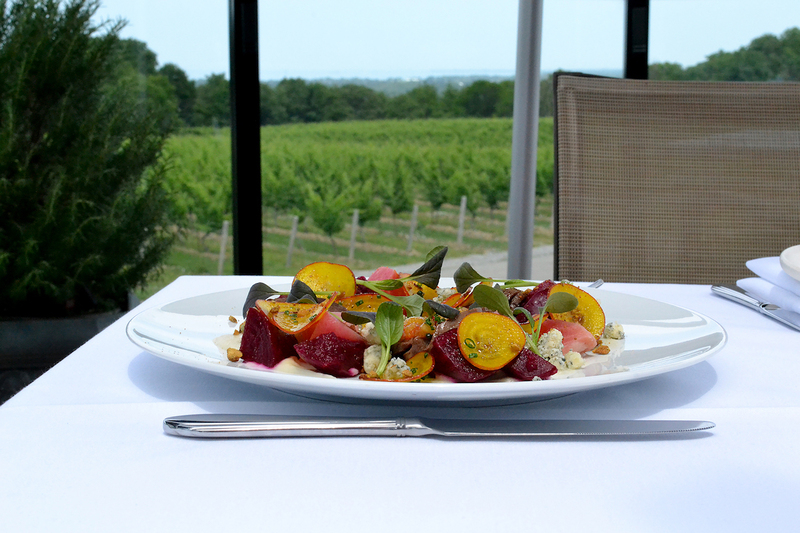 Forest views of the Niagara Escarpment, Lake Ontario waterscapes, and the Toronto skyline draw diners to pop into Vineland Estates Winery, but they return time and again to sample foods from the creative mind of the winery restaurant chef, Justin Downes. This year in honor of the Icewine festivities, he is pairing caramel corn, walnuts, Icewine jam, and foie gras as part of a dreamy package with the Vineland Estates Winery 2016 Vidal Icewine and Cliché Late Harvest Sparkling. Known for other lip-smacking creations like house-cured meats, terrines, and rillettes, the menu never fails to impress with entrees like 16-hour short ribs and rainbow trout with miso and ham hock broth – and desserts like chèvre crème brûlée with yogurt chiffon, beetroot coulis, charcoal shortbread, and black sesame tuile. Bring a date or anyone who appreciates architecture since dining indoors includes relaxing in a renovated 1845 farmhouse or outdoors under shade sails, weather permitting. Make a reservation at Vineland Estates Winery. 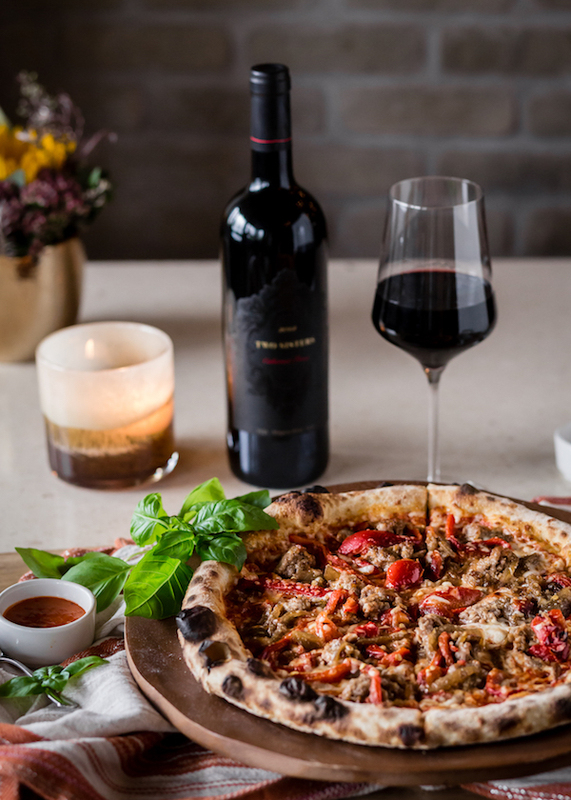 The brainchild of sisters Angela Marotta and Melissa Marotta-Paolicelli, these enterprising ladies found a way to share their love of the Italian table in their Two Sisters Vineyard restaurant, Kitchen76. Weekends in January, Two Sisters Vineyards events include the ‘Icewine Cocktail Experience’ where attendees will learn the basics of this distinctly Niagara wine – plus how to blend scrumptious cocktails using Icewine as the base. The adventure begins at the tasting bar with a pink mimosa from Lush Sparkling and Cabernet Sauvignon Icewine before moving to the private tasting room where wine tutors will lead guests through two more Icewine-based cocktails using the Two Sisters Riesling and Cabernet Sauvignon Icewines. All that mixing and tasting leads to hungry appetites and Kitchen76 is just the ticket, especially with an order of housemade focaccia served with extra virgin olive oil from the Marotta family olive orchard dating back 500 years to the sisters’ hometown of Pertosa, Italy. Other notable menu items include braised lamb shoulder and tagliatelle at this gorgeous spot that never fails to turn on the romance and deliver at the table. Diners can partake of multiple Icewine cocktail experiences each weekend day beginning January 12 and will leave with featured cocktail recipe cards. Make a reservation at Kitchen 76 at Two Sisters Vineyards. Icewine fans already love Trius Winery & Restaurant for the Icewine-cured and smoked salmon goat’s cheese croquettes featured on a previous menu, along with Dodd’s famed Ontario mushroom collection with Icewine onion jam, Hewitt’s Farm goat’s cheese, and Homestead Farm fried duck egg – not to mention other items like mulled red wine pear and confit duck leg with fondant potato, red wine cherries, duck liver parfait, and chocolate crumble. Not much can top the Trius hero plate brimming with beef pastrami, chicken liver parfait, spicy sopressata, capocollo, salmon rillettes, hen’s egg, smoked ham hock terrine, lamb summer sausage, aged Ontario cheddar, Hewitt’s goat’s cheese, honey comb, beet pickle, mustard, cornichon pickles, and house baguette. An exception to that, perhaps, is what chef Frank Dodd is planning to serve at the festival: a hearty, cheesy pairing of chili mac n’ cheese served with the 2016 Trius Vidal. Also on the calendar, an Icewine cocktail reception at the winery followed by a four-course dinner, serving Icewine with savory dishes paired by winemaker Craig McDonald. Make a reservation at Trius Winery & Restaurant. Celebrating Canada’s rich culinary offerings, we’re thrilled to reveal the 100 Best Restaurants in Canada 2018, according to OpenTable diners. The list is a comprehensive look at the year’s most beloved dining spots culled from more than 500,000 verified diner reviews of over 2,500 restaurants across Canada over the course of 12 delicious months. From the locavore specialties of the restaurant at Pearl Morissette in Niagara, the notable contemporary French cuisine of La Banane in Toronto, and the eclectic seafood stop Oddfish in Vancouver, this year’s list showcases OpenTable’s comprehensive network of dining options for every occasion across the country. Featured restaurants have been recognized for consistently putting out delicious dishes, providing impeccable service, and paying attention to every detail to orchestrate one-of-a-kind dining experiences time and again. 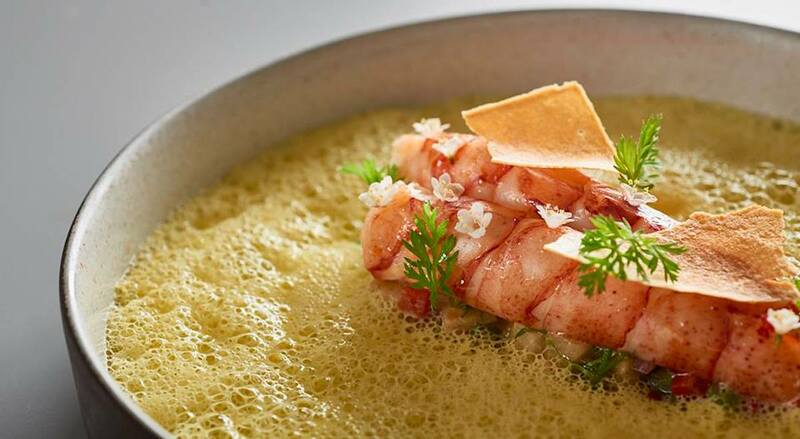 Ontario has the greatest number of restaurants included on the list with 57, followed by Alberta with 21, British Columbia with 13, and Québec with seven restaurants. Newfoundland and Saskatchewan are also represented on the list. So how exactly does a restaurant land on this list? The list is generated solely from diner reviews collected between November 1, 2017, and October 31, 2018. All restaurants with a minimum “overall” score and number of qualifying reviews were included for consideration. Qualifying restaurants were then sorted according to a score calculated from each restaurant’s average rating in the “overall” category. That overall category score is made up of unique data points (read: our secret sauce), such as overall diner rating, user klout, total number of reviews, and regional overall rating to arrive at…ta-da, the final list! It’s a mouthful, we know, but would you expect anything less from a list that’s all about the best restaurants in the country? Among the endless things to do on a weekend, Canadians have no shortage of choices when it comes to winding down with a bottle of ice wine, cabernet franc, or buttery chardonnay. The Vintners Quality Alliance, which monitors Ontario’s appellation of origin system, lists the cool-climate Niagara Peninsula, rich terroir of Prince Edward County, and sunniest of the appellations, Lake Erie North Shore, as primary wine-growing regions along with multiple sub-appellations within each. And Wine Country Ontario, which promotes Ontario’s wine-growing regions, lists as many as 13 wineries to watch as emerging regions. Where there is good wine, great food follows. Such is the case across culinary conscious Canada. Hundreds of Ontario wineries provide picturesque places for oenophiles to kick back, glass in hand. While the menus are ever changing, here are a few reasons to whisk yourself away to these top winery restaurants in Ontario this weekend. To choose between slow-braised lamb, wild salmon, rabbit saddle, and entrees like potato-crusted beef with creamed leek, jalapeño, and ramp pico de gallo or ice wine-glazed squab with scallion gnocchi seems unfair – especially when one of the must-have signature dishes at Peller Estates Winery & Restaurant is the lobster linguini, prepared with hand-rolled black truffle linguini, ice wine-poached lobster, smoked bacon, and Sur Lie Chardonnay cream sauce. A dish is only as good as its garnishes and Peller knocks it out with these, too, in things like grilled fiddleheads, crispy escargot, and beetroot tuile. 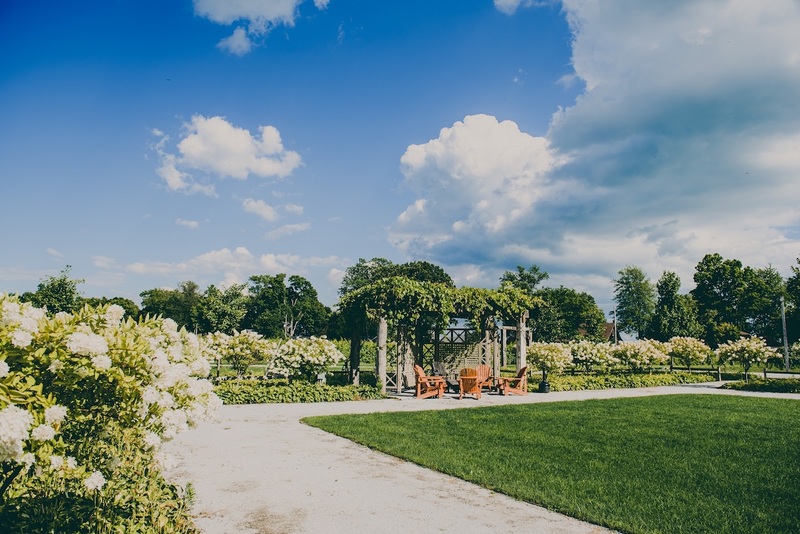 Peller Estates Winery & Restaurant is a destination with lots of dining event choices like Sunday harvest dinners, garden dinners, and barbecue dinners. In Canada, there’s no need to wait for dessert to indulge in a glass of ice wine. Save some time to hang out at the 10Below Icewine Lounge at Peller. There’s nothing like tasting ice wine in minus-10 degrees Celsius surrounded by ice like the winemakers must endure to harvest the grapes. 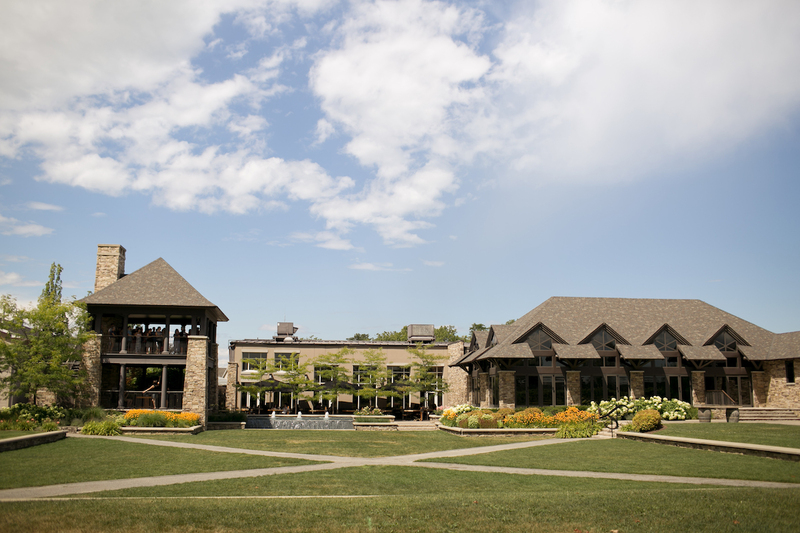 Make a reservation at Peller Estates Winery Restaurant. On the north shore of Lake Erie, south of Harrow and east of Colchester, Oxley Estate Winery is a lesson in why small batch wines are so special. This County Road 50 winery is home to the ultimate hangout, a renovated barn that dates back to 1920 and a wine garden patio with wood-burning fireplace. 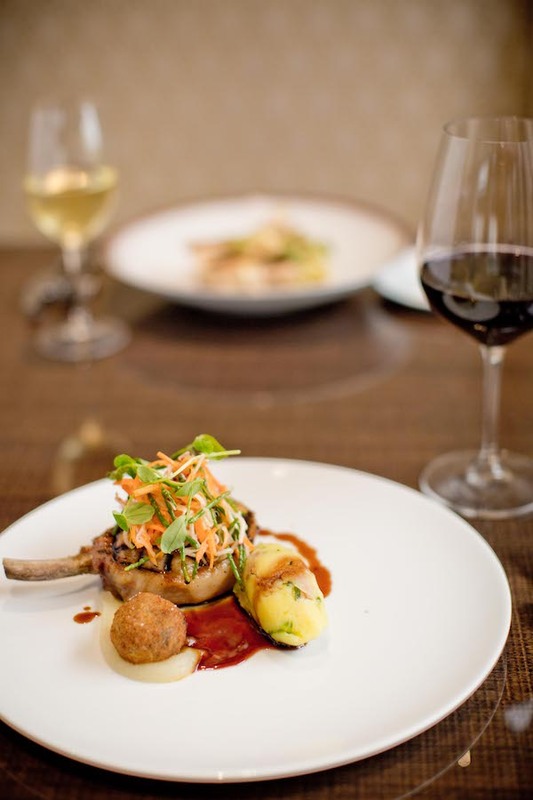 But Oxley Estate Winery is also esteemed for its wow-factor yet unpretentious cuisine. Known for the sticky pickled duck wings with honey and Szechuan vinaigrette, sugared chiles, and radish scallion salad, Oxley’s culinary team presents an inventive take on old favorites. Try the Arctic char with roesti and house garlic sausage and angolotti with peas, smoked radish, brie, smoked tomato butter, and frisée. Make a reservation at Oxley Estate Winery Restaurant. On land owned by the Lowrey-Harber family for five generations since 1867, this St. Davids Ravine Vineyard Winery is a 34-acre retreat. Family ancestors grew cherries, pears, peaches, grapes, plums, and vegetables on this Niagara Peninsula land, making it ideal for wine production. These organic vineyards and winery make up an inviting place to sprawl out and get ready for wood oven-baked pizza, salmon steak, or butcher’s board of charcuterie, along with produce from the kitchen garden. On the patio overlooking the chardonnay vines, Ravine is an ever-popular gathering spot to hear local artists and sample wines and Lowrey Bros. Hard Cider on tap. Stop by Ravine’s own grocery store for Niagara jams, pickles, sauces, and canned whole fruits and veggies. Make a reservation at Ravine Vineyard Winery Restaurant. Falling in love is as easy as ordering the ice wine-cured and smoked salmon with goat’s cheese croquettes at Trius Winery & Restaurant – just save room for the Ontario mushroom collection with ice wine onion jam, he Atlantic halibut, and the confit duck leg with fondant potato, red wine cherries, duck liver parfait, and chocolate crumble. Vegetarians love this winery for tasty entrees like fresh chick pea falafel with Ontario mozzarella garnished with crispy fried chick peas. All that said, perhaps nothing can top this winery’s Trius Hero platter – with chicken liver parfait, sopressata, salmon rillettes, hen’s egg, pig head terrine, elk summer sausage, and aged Ontario cheddar and other such treats. 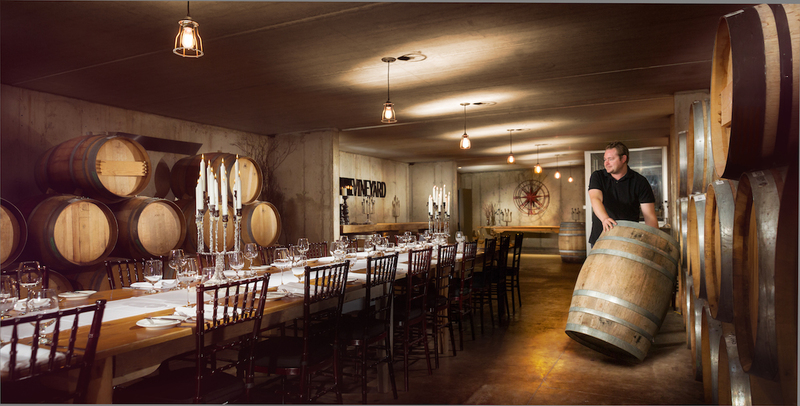 Before dinner, take part in Trius’s Art of the Blend during which guests learn about blending red wines in the winery’s underground barrel cellar, a sample of which they get to take home in their own custom blended wine. For extra fun, try the black glass tasting, a secret wine pairing disguised in opaque black stemware sure to test any oenophile’s palate. Make a reservation at Trius Winery Restaurant. As we approach the first official day of summer and prime season for patio dining, we’re pleased to unveil the 100 Best Restaurants for Outdoor Dining in Canada 2018. The list ensures that diners across the country can find all the gorgeous patios and refreshing menus to enjoy some summer sunshine. 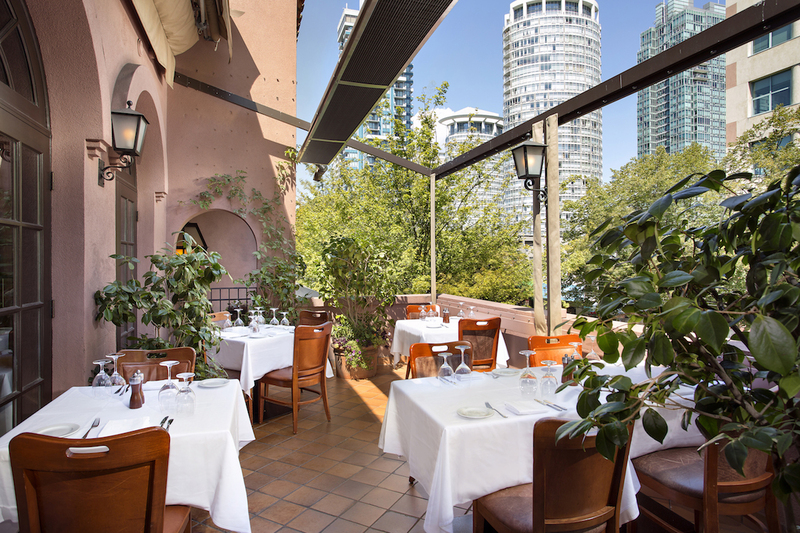 Restaurant patios across the country have made their way onto this year’s list, with Ontario eateries claiming the greatest number (41) of honourees, followed by British Columbia with 30 and Alberta with 17. Quebec (8) and Manitoba (4) are also represented. The list includes a variety of different outdoor dining options, from the ocean view patio at Vancouver’s Teahouse in Stanley Park and the charming hidden back patio at Toronto’s Sidecar, to the relaxing lakeside patio at Wellington’s Drake Devonshire Inn. Canada’s 100 Best Restaurants for Outdoor Dining 2018 list is generated solely from more than 550,000 restaurant reviews collected from verified OpenTable diners between May 1, 2017, and April 30, 2018. All restaurants with a minimum “overall” score and number of qualifying reviews were included for consideration. Qualifying restaurants were then scored and sorted according to the percentage of reviews for which “outdoor dining” was selected as a special feature.